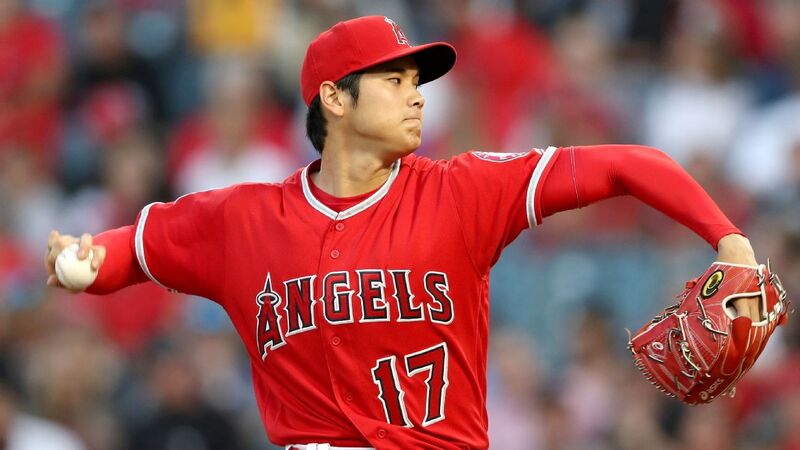 Los Angeles Angels right-hander Shohei Ohtani completed a light bullpen session, then was penciled into the lineup as designated hitter for Saturday night's game against the visiting Oakland Athletics. Ohtani reportedly threw about 20 pitches, mostly fastballs. He has not pitched since June 6 because of a sprained ligament in his pitching elbow. The team has been hoping the rookie from Japan can avoid Tommy John surgery. "He has to make sure he's continuing to move forward and evaluate him afterwards," manager Mike Scioscia said Saturday. "Right now, there hasn't been any adjustments. He's been terrific. I think he's feeling very, very comfortable with the fact that everything is sound in his elbow. As we continue to test it in the next couple of weeks, we'll get a better idea of where it is." At the plate Saturday, Ohtani went 1-for-4 in a 7-0 loss to the A's. Ohtani went 4-1 with a 3.10 ERA and 61 strikeouts over 49 innings in his first nine big league starts before getting hurt.